911 oil temp / pressure gauge, how did you mount the pressure sensor? I installed a 911 oil temp and pressure gauge this Winter. 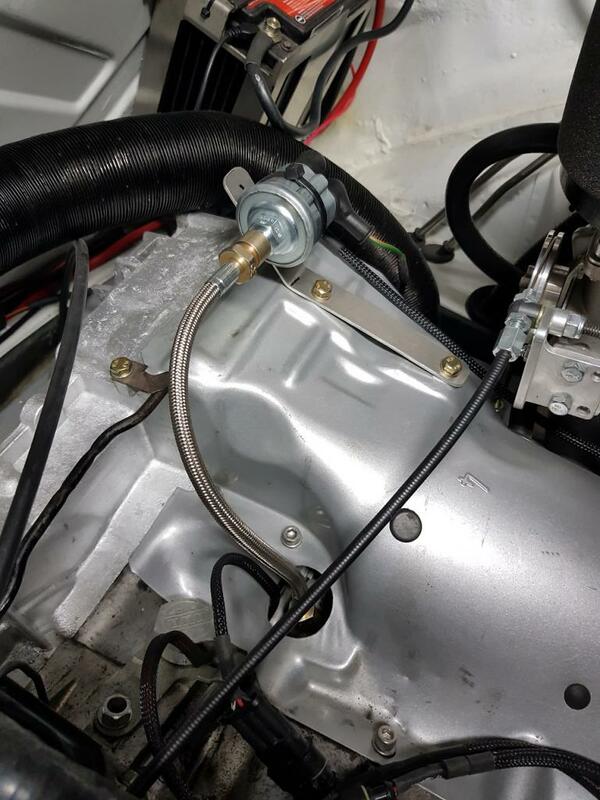 I made bracket and mounted it on the fan housing where the stock coil sits and connected it to the oil pressure port with a piece of steel braided hose with the correct end fittings. 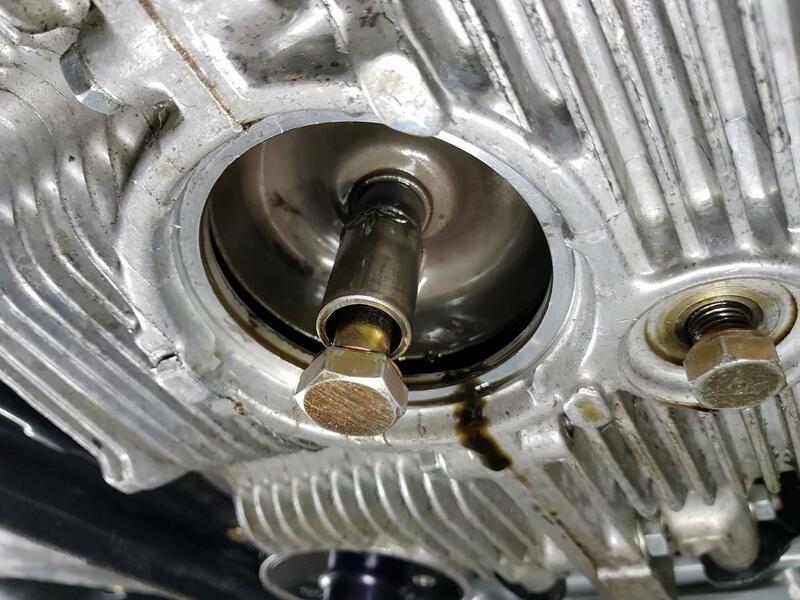 It works well and doesnt leak but I've noticed that in long sweeping left hand turns I loose oil pressure, it never goes to zero but once or twice the light flickered on and then immediatly turned off again. Do you think this could be a sensor location thing or perhaps an issue with my tuna can installation? I cannot imagine that the small about of oil in the extended pipe is being dragged away from the sensor due to centrifugal force against the pump? I have never experienced or heard of an issue like this with oil sender mounted remotely. I have seen a few that came loose or lost their the ground. I would check to make sure the sender is solidly mounted and has a good ground. If there is nothing there to attribute yoyr symptoms to I would look at the tuna can install. Make sure the pick up tube extension fits tight and goes all the way down to the bottom of the tuna can. I always ran mine 1/2 quart over full of oil in addition to running a tuna can. Not going to be sending unit. Sender is just showing loss of pressure. Never used a tuna can so I can't speak about them. Do you have a windage tray installed in the engine to reduce oil shifting in turns? You are not picking up oil. You will lose oil feed in a long high G turn, and the oil gauge will show you when it happens. Back in the 70s, I used to track my 914 2.0, and it was always a concern on the track. The tuna can (or larger) deep sumps may have helped somewhat, but getting my -6 with a dry sump took care of it. I dont think its your pressure gauge. Most likely its correct. I guess someone could of installed the tuna can with out the pick up extender?? Oil pressure was a big deal for me since I share the car in endurance racing. Worried that someone not familiar with a 914 wouldn't pick up on the idiot light or gauge info. I run an accusump. I've never seen the light come on since. Even with slicks at Sebring. Maybe something to look into. Yes I've already started investingating an accusump setup in case I cant find the problem. Do you have any pictures of your setup installed. It would be interesting to see. Found this in my notes. How are your heads vented? Don't think you have a problem with the pressure sender. 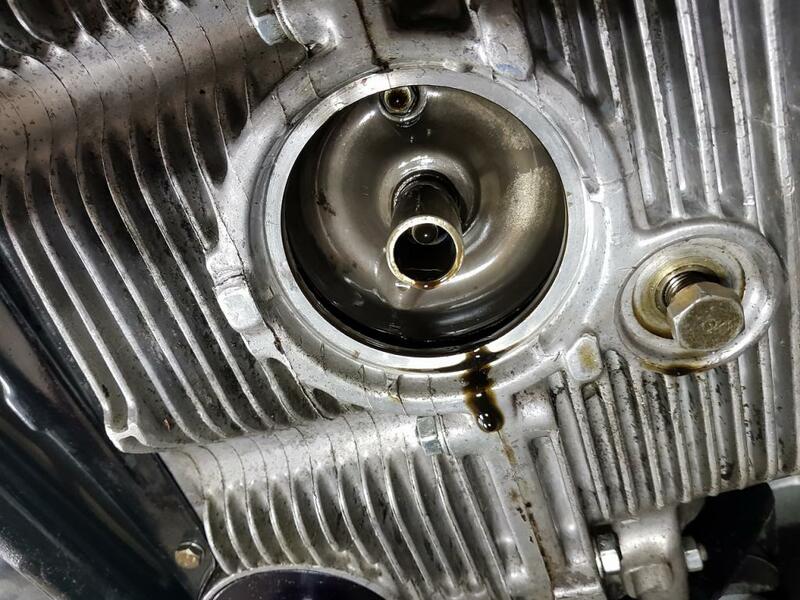 The oil is probably stuck in the head and needs time flow back into the oil sump. Oillevel should be always at max of the dipstick. The heads are vented to a catch can along with the vent on the oil filler tower. Tuna can remounted, overfilled with about half a quart/litre over max on the dipstick. Ive also plugged the head vents with some silicone rubber hats. 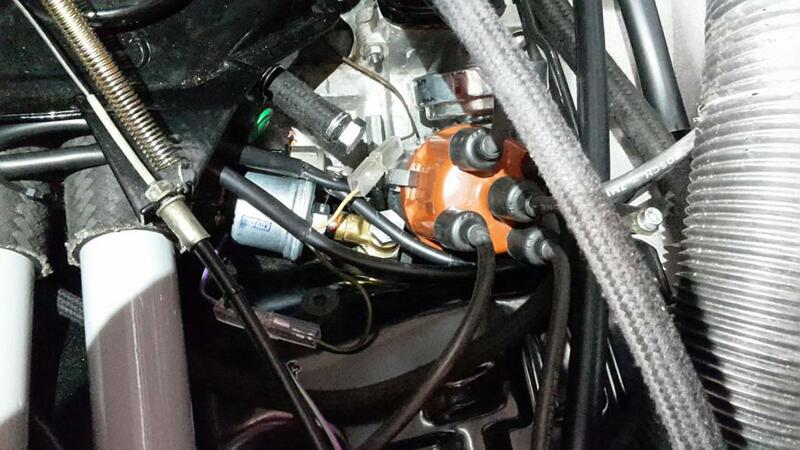 The connector on the oil filler tower is routed thru a half inch hose to a catch can thats then vented directly to the athmosphere thru a filter. Havnt driven it much yet but at least it doesnt loose oil pressure in roundabouts anymore from what I can tell. Is it an adapter first that fits into the M10x1 hole and then the panjo bolt into the adapter or how did you set it up? The adaptor need to be blanked off at the side port (M10x1) at the top its a ATE M10x1 Banjo fitting mounted with a M12x1,5 Banjo Bolt. If I have a chance, I'll send a better pic next weekend. Thanks Frank. 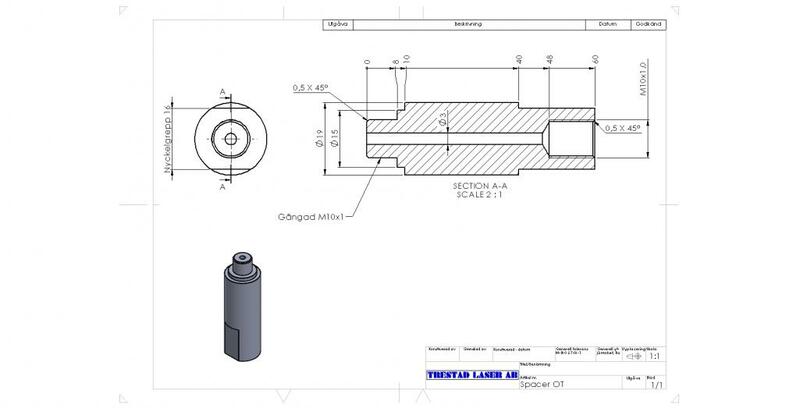 I'm toying with the idea of having the CNC guys at work make me an adapter on the lathe that will raise the sender up out of the engine tin hole.